Without facets, a gemstone would just be a slightly pretty rock! This White Topaz has been faceted in such a way that the sparkle is intense. Normally the pavilion, or bottom side of the stone, has triangle shaped facets. This stone has long facets that travel all the way from the top edge of the gem to the point at the very bottom. And there are a bunch of them! You can't really see these facets once the gem is set into the ring but you certainly can see the effect they have. This gem has intense luster that won't disappoint. 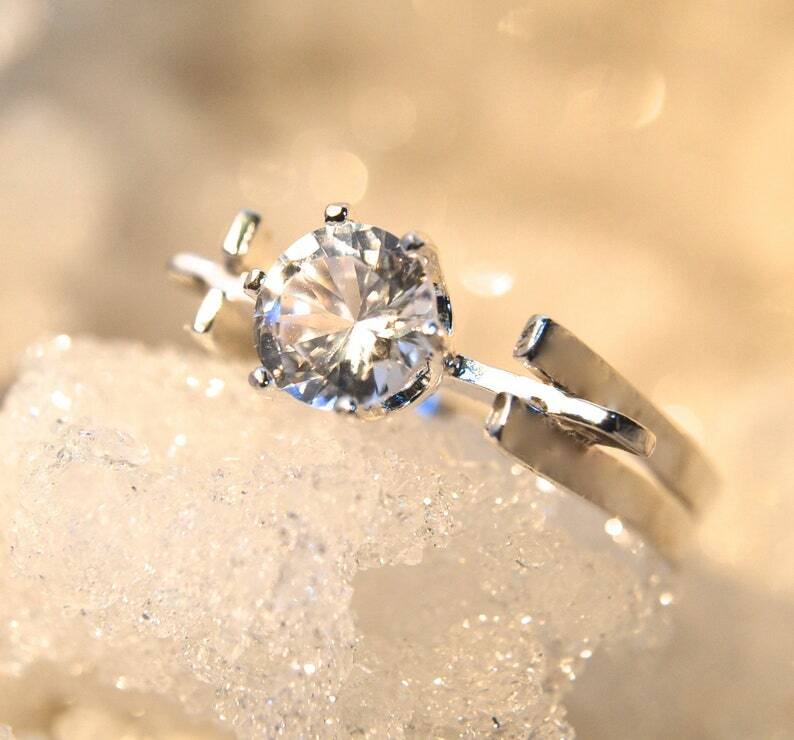 I believe that most people will think it is a diamond rather than a more affordable White Topaz. It has that much sparkle! At 7mm and 1.70 carats, it will set your finger ablaze! I named this ring after Pont des Arts, the famous love lock bridge in Paris. The handmade sterling silver band is about 4mm wide on the palm side. The silver splits as it circles the finger making way for a bridge of silver across the top. Sitting in the middle of this bridge, is your gorgeous Topaz. Life is too short to wear ordinary jewelry! This ring is a size 8.5.